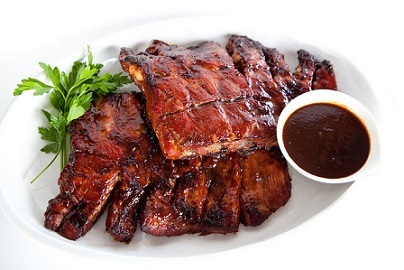 Treat yourself, your family and your friends with these fabulous restaurant BBQ Spareribs. 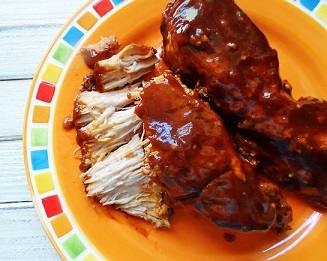 You can use this recipe to oven bake or grill your BBQ pork ribs if you want, but this recipe explains how to cook them using your slow-cooker. For the recipe to grill great tasting barbecue ribs, just click here. 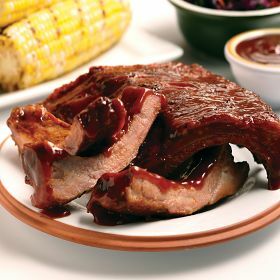 To adjust the recipe for more people, figure about 1 pound per person when purchasing the spareribs. 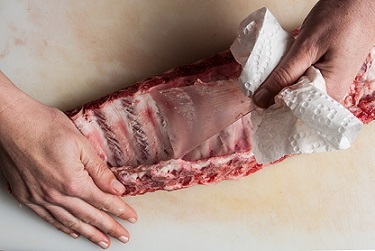 Don't forget to remove the membrane on the backside of the ribs before cooking, if the butcher has not done so. Loosen a corner with a sharp knife, grip tightly and tear from the ribs. If you're "special," ask the butcher to do the job for you. Sometimes they will, even if it costs you a little more. And, an "aside," sometimes this cut of meat is spelled "spareribs," and sometimes it is listed as "spare ribs" (two words). Both are equally acceptable. Ribs are commonly prepared with either a “wet” or “dry” method. Ribs rubbed with a mixture of herbs and spices are called dry ribs. 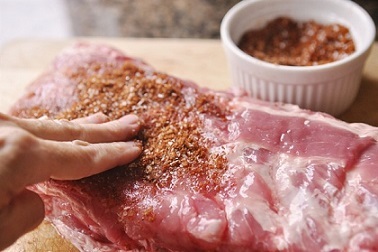 Such rubs are done before barbecuing. 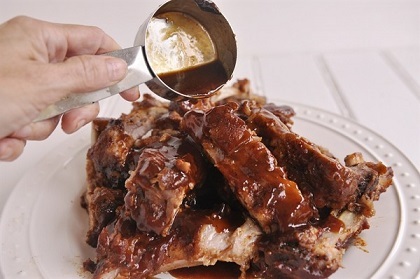 Ribs basted with sauces during the barbecuing process are called wet ribs and with wet ribs you want to be certain you brush the ribs heavily during the last 30 minutes of cooking in the oven or on the grill. This recipe is a combination of both methods. It results in a superbly delicious meal. Preparation time: 20 minutes. Serves 3-4 people. 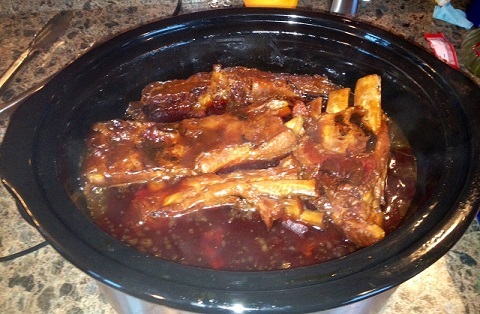 Enjoy your slow-cooker BBQ spareribs and the company of those you share them with!